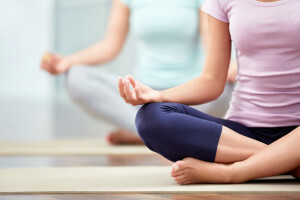 According to one study published by the National Center for Complementary and Integrative Health, yoga could potentially be as effective as conventional therapy for treating adults with chronic or recurring low back pain. This could be big news for patients who may be uninsured or do not have the means to afford ongoing conventional therapy. 313 participants who reported chronic back pain were asked to take a twelve-week yoga course or twelve weeks of physical training and report their back pain for the next 52 weeks. Although adherence was low, which is a problem in its own right for ongoing back pain management, the results did show similar levels of satisfaction and reduction in lower back pain. 50% had a clinical response, for example, and patients were able to reduce their medication by 20%. However, it’s important to keep in mind that the study was done on patients who did not have spinal stenosis or other physiological issues that would require more extensive medical intervention. In addition to that, researchers for the National Center for Complementary and Integrative Health also pointed out that the participants followed an intensive, carefully designed series of courses. A trip to the yoga studio once a week or practicing at home wouldn’t suffice. No matter the cause or severity of the back pain, it’s important first to speak with a physician to determine what the best course of treatment would be. If it’s minor, he or she might recommend rest, stretches, or medication. However, more severe cases may be referred to a complex spine surgeon like James K Kaufman, M.D., who could provide additional testing and offer the best course of treatment to address the symptoms. Are you the type who is always willing to help a friend with their move? Remember to know your limits and get a basic understanding of how to lift properly before you attempt to move heavy items. If you can, try wearing a back brace and bringing basic moving equipment as well – especially if you’re lifting awkward items or going up and down steps. This is the best way to ensure you don’t incur a back injury. Now if you’re younger, you may not worry about back injuries as much. You’ve never felt back pain before and, even if you get injured, you’ll be able to recover much more quickly than you would when you reach middle age. Unfortunately, there are some consequences when you lift heavy items incorrectly at a young age. According to one Finnish study, young people who reported lifting things said that they suffered back pain when asked again twenty years later. It appears that this behavior, over time, could weaken muscles or trigger an injury that will only become present later in life. Therefore, young individuals who participate in activities where they have to lift heavy items or are employed at a place where they must perform physically demanding tasks should take special precaution to ensure they do not suffer from debilitating back pain later in life. In addition to lifting correctly and using the right equipment, young individuals should also try to maintain a physical regimen outside of the job. That way, their body is more used to the rigors of the job or an activity like moving. If you do begin to suffer from back pain of any kind, remember that most back pain is not permanent. Consult James K. Kaufman, MD today to schedule a consultation. 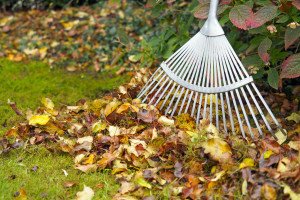 We are about halfway through the summer season, which means autumn is just around the corner. Although the cooler temperatures may begin to dip, your chances of experiencing back pain may go up. Whether it’s due to a particular activity, lack of activity, or how your body responds to colder temperatures, it’s important to be aware of these back pain issues so you can avoid them when you can. If you require additional assistance or begin to experience extreme back pain or other symptoms, you might want to also consider visiting a neurosurgeon like James K. Kaufman, MD. The leaves begin to fall in the autumn months, which create an aesthetically-pleasing setting, but you’ll have to rake those leaves eventually. If you aren’t used to bending and twisting remember to stretch beforehand. In addition to that, always remember to keep proper form and take breaks when you need to. As the temperatures get cooler, the temptation to stay inside grows. This is coupled with fall programming (Walking Dead fans anyone?) and, of course, the return of football. Since it’s so easy to stay inside on the couch and eat/drink more, you’ll need to make an effort to get out there and exercise. The stronger your core muscles, the less likely you’ll injure them. Of course, if you haven’t exercised in a while, be sure to go slow to not cause or aggravate an injury. Did you now that the cold air can cause a drop in barometric pressure? This could in return put added pressure on joints, especially if you have experienced a prior injury. In order to avoid this, remember to dress warm and apply heating pads to any sensitive areas that are particularly painful. If the pain becomes persistent or extreme, again, don’t hesitate to visit a doctor. Sleep on your side with a pillow between your knees: The goal is to take as much pressure off your spine as possible. One way to do this is by putting a pillow between your knees. This puts your back in a neutral position, which means there’s little arch but it’s not completely flat either. Try to keep your knees as parallel as possible so your top leg doesn’t fall over your bottom one, which will affect your position. Sleep on your back with a pillow under your knees: If you are more of a back sleeper, you might want to try this trick. It is possible to actually sleep on your back and not cause more pain. As with the tip above for side sleepers, a well-positioned pillow can do wonders to improve how you sleep. By putting a pillow under your knees, your body will be in a neutral position – again, taking pressure off the spine. However, it’s important to know that sleep is much more than just about the position. There are a number of factors that affect back pain levels at night. James K. Kaufman, M.D. of Fort Worth, TX has seen patients come in who have seen improvement in sleep by changing a host of different aspects of their sleep routing. Some patients may need to change their sleeping positions. For others, it could be an issue with the mattress. It could be an issue of how the patient gets on and off the bed. Finally, it could have nothing to do with the sleep routine at all and exercise and other lifestyle changes helped instead. The most important to remember is that if you do experience back pain, please see a specialist as soon as possible. Could Better Sleep Mean Less Aches and Back Pain? There’s no question that adequate sleep is crucial to long-term health. 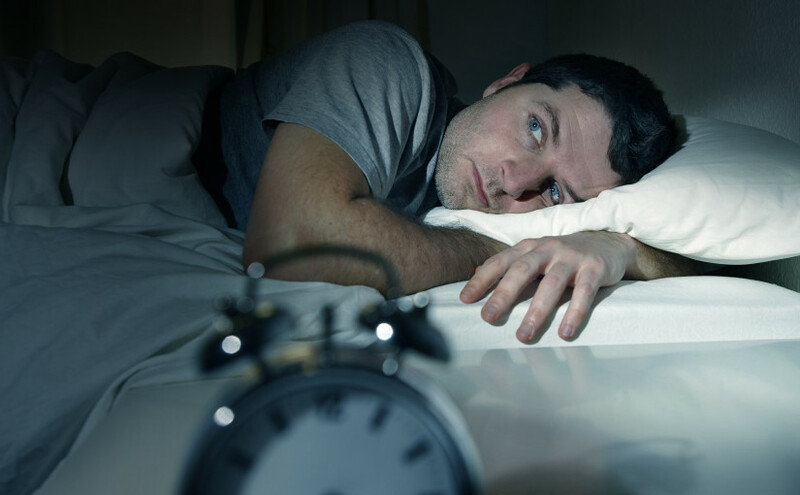 Chronic sleeplessness doubles the risk of mortality from any condition. It can cause an individual to gain weight, increase the likelihood of depression, dull one’s memory, and even lead to poor decision-making. Sleep is an essential part of life as it helps clear metabolic waste products, restores the immune system, and processes memories. Those who get the recommended 7-8 hours of sleep a night are the ones most likely to enjoy overall well-being when all other risk factors like obesity and smoking are removed. What Is the Link between Poor Sleep and Back Pain? Back pain and poor sleep have a rather strong relationship. If someone is experiencing back pain or some other form of pain in the body, it can be expected that he or she will have much more difficulty falling asleep. In addition to that, a lack of sleep mitigates key restorative functions that can increase the likelihood of pain. One study from researchers at Keele University showed that non-refreshing sleep (sleep where you wake up still tired) was the biggest indicator of widespread pain. Participants in the study who reported poor sleeping tendencies had the greatest likelihood of pain development in the back and other parts of the body. What Can Patients Do to Improve Their Sleep? Because sleep is so crucial to reduce the risk of chronic conditions and widespread pain, everyone must pay special attention to how they approach sleep. First and foremost, this means establishing a good sleep environment. An optimal sleep setting will feature slightly cooler temperatures and little to no light or sound. Secondly, individuals should develop an appropriate sleep routine to signal to the body that it is time to go to bed. Finally, poor sleep behavior should be mended as quickly as possible. Bad sleep habits include watching television in bed, performing stressful activities late at night or eating right before bed. If one does find that back pain is causing sleep deprivation, a visit to a spine specialist like James K Kaufman MD is necessary to rule out underlying conditions and determine the best course of treatment. A spine specialist can offer a number of treatment options, including medical intervention or lifestyle changes like improving one’s sleep. Whatever the cause for the back pain, a spine specialist will likely recommend optimizing sleep to reduce the likelihood of pain or aggravating an ongoing condition. Are you living with chronic back pain? Approximately 100 million Americans have some form of chronic pain, which can make performing day-to-day tasks challenging and burdensome. Fortunately, advancements in modern science have led to the development of sophisticated treatment options to provide relief from chronic pain. If exercise, physical therapy, stress management and a healthy diet are not enough to alleviate your back pain, then consider these other treatment options. Talk to a spinal neurosurgeon like Dr. James K. Kaufman MD for more information about treatment for chronic back pain. Medication. There are several different types of medication used to treat back pain. Though primarily used to treat seizures, anticonvulsants are also effective for treating chronic pain. Another option is low doses of antidepressants; these drugs regulate the levels of chemicals in the brain, such as norepinephrine and serotonin, which is believed to help control pain. Pain relief creams and sprays might also be useful, as they can help minimize the sensation of pain and reduce inflammation. For severe cases of chronic back pain, narcotics may be prescribed. Nerve Block Therapy. Nerve block therapy involves injecting a local anesthetic into a specific nerve or group of nerves to ease pain. Nerve blocks aim to block a targeted pain signal and/or decrease inflammation. Electrotherapy. Electrotherapy, such as Transcutaneous Electrical Nerve Stimulation (TENS), uses low-voltage electric stimulation to relieve pain. A small, battery-powered device is placed on the skin, and its electrodes are connected to the skin on the pain area to create electrical impulses that inhibit pain signals coming from the peripheral nerves. It’s believed that the electrical stimulation helps stimulate endorphins, which are the body’s natural pain relievers. Surgery. When all else fails, you may want to consider surgery. Today there are many minimally invasive surgical procedures geared toward treating spinal injuries and back pain. Minimally invasive surgery differs from open spine surgery in that it is performed through the skin or a small incision. There are typically fewer complications associated with minimally invasive procedures, such as spinal fusion and decompression, as well as a shorter hospital stay and recovery period. Each case of chronic back pain is unique. To determine which treatment option will be most effective for treating your pain, schedule a consultation with a spinal neurosurgeon. What Could Your Back Pain Be Telling You? As you get older, you may be noticing a few changes with your body like persistent and chronic back pain. It’s more common than you might think because it affects 8 out of 10 people according to an article from LiveScience. There are a number of reasons why you might have back pain but what could your back pain be telling you? Read on to learn some signs that back pain could be more serious than you thought. One of the most common reasons why back pain occurs is because of age, it’s one of those things that is more age related than not, and you might begin to notice back pain beginning around the age of 30 to 40. Besides the age factor, back pain may be due to poor physical fitness, being overweight, heredity/genetics, diseases, stress, your job and even smoking. For instance, if your job is very labor intensive which requires you to do heavy lifting/pushing, it could cause back pain. Things like arthritis and joint diseases can cause back pain – all of this just means there could be many reasons as to why it occurs. At any rate, what could your back pain be telling you? It might be telling you it’s time to see a doctor. You may need to schedule a doctor’s appointment with a neurosurgeon that specializes in the spine, like Dr. James K Kaufman MD, who are trained in the diagnosis and treatment disorders of the spine, spinal cord, nerves and more. During a visit with a doctor, they may order tests like an X-ray, an MRI, a CT scan or blood test to help determine the reason behind your pain. However, diagnosing the exact cause of the pain can be difficult to pin point but there are ways doctors can help alleviate the pain through various treatment methods. But, people who experience back pain need to differentiate chronic back pain from acute back pain. Acute back pain usually starts very quickly and only lasts for a few weeks – it can result from falling, lifting something heavy or being tackled during a sports game like soccer or football. When it comes to chronic back pain, it usually lasts for a much longer time period like three months plus and it less common than acute pain. Chronic back pain could come from serious trauma like a car accident or something similar. When it comes to your specific treatment plan, only your doctor may be able to determine that for you. Some treatment may include medication, exercise, hot or cold packs, surgery, behavior changes like not lifting heavy things, etc. The only way to have your back pain treated is to seek professional help from doctor. Are you ready to schedule a doctor’s appointment for your back pain? Spinal Stenosis is a condition in which the spinal cord or the nerve bundle at the base of the spine is compressed. This can happen for several reasons, the most common of which is osteoarthritis that causes joints and connectors to swell, putting pressure on the spinal cord or nerves. As such, this condition is most common in the elderly; occasionally, however, it can affect younger people who were born with an abnormally narrow spinal canal or who were injured. Age-related disc bulging and bone spur growth can also cause the problem. There are two main types of stenosis: lumbar and cervical. The symptoms associated with each are somewhat different, according to noted surgeon Dr. James K. Kaufman, MD, and which ones you experience will help to determine the type of stenosis you have and the course of treatment you undergo. This is, by far, the most common type of spinal stenosis and the less threatening. It happens when the nerve bundle at the base of the spine (the cauda equina) is pinched. For some people, this condition actually causes no symptoms and doesn’t have any affect; for others, the symptoms include tingling, numbness or pain in the lower back, buttocks, and legs and some difficulty walking. These symptoms will be noticeable, uncomfortable, and sometimes even a bit painful, but not usually disabling. Often, a distinguishing feature of this condition is that sitting or leaning forward will ease the pain. Cervical spinal stenosis, on the other hand, can actually be dangerous to those who have it. This is because cervical spinal stenosis affects the upper back and, thus, the spinal cord itself. The spinal cord is what connects the brain to the nerves throughout your body, so anything damaging it can disable the basic command functions of your body. Cervical spinal stenosis can cause weakness, severe pain, paralysis, incontinence, and even loss of limb control. Exercise – Staying active keeps your muscles strong, eases some of the symptoms, and prevents you from losing more function from inactivity. Start off easy, with exercises that emphasize leaning forward and positions that are comfortable. Try to get to a level at which activities are less uncomfortable than they used to be. Anti-inflammatory medications – Because the condition is often caused by osteoarthritis, a side-effect of which is swelling, over-the-counter anti-inflammatory medications such as Ibuprofen can sometimes ease the pain. Keep in mind, however, that these medications can cause stomach problems when used regularly. Injections – A series of steroid injections into the area surrounding the spinal cord has been known to bring some relief, though it is often temporary. Surgery – This is the most drastic action that you can take when dealing with stenosis. The surgery will remove spurs and discs, and clear the area around the spinal canal of blockages and excess tissue. Like all surgeries, however, the procedure is not without risks, and should not be chosen lightly. And stenosis can recur after surgery, so choosing this option should be based on how dramatically the condition is affecting your life. For instance, if you are experiencing severe pain and your motor function is in danger, surgery may be the best option. Spinal stenosis is no fun, but knowing more about it can help you to rule out other conditions and figure out the best course of action. There are several types of spinal stenosis, Lumbar Spinal Stenosis and Cervical Spinal Stenosis are just two of them. Lumbar stenosis occurs when the spinal nerve roots are compressed in the lower back. The effects of this are weakness or numbness in the lower back, bottom and legs. Cervical spinal stenosis is compression of the spinal cord. When this happens the symptoms can be extremely serious. A few of them are major body weakness, paralysis and severe pain. 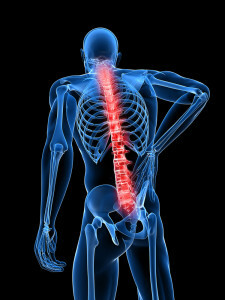 Spinal stenosis begins occurring in people who are 50 or older because it is connected to the degeneration of the spine. As people 50 and older continue to age this degeneration continues to happen and can intensify the pain. There are a lot of symptoms associated with spinal stenosis and it will depend to a degree which one you’re suffering from for what type of symptoms you’ll experience. Lower back pain, leg numbness & tingling, walking limitations are the three most common symptoms of lumbar spinal stenosis. When a person with spinal stenosis walks, the longer they walk the more pain they will feel. A way to reduce this pain is by stretching forward or sitting to open the spinal canal and relieve the leg pain. 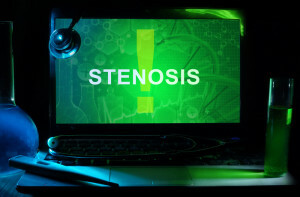 James K Kauf man MD has talked about stenosis in length during his research and mentions there are two diagnostic imaging studies for patients with stenosis. They include an MRI scan or a CT scan with myelogram. These two scans display the compression of the spine and allow doctors to see which nerves are being compressed. Some forms of stenosis, such as cervical foraminal stenosis, can be pinpointed by other methods. One method is injecting the suspected nerve with a couple drops of local anesthetic and then observing whether there is a remission of the symptoms. If there is then the patient can decide if they want to conduct surgery there. There are non-surgical treatments for spinal stenosis which many patients should consider. There are a variety of exercises available, swimming, bicycling, stretching and Tai Chi are just a few to be named. It should also be noted, exercising while you’re still young and building muscles in your back can help reduce the effects and rate at which you experience degeneration in your back. Besides exercise, healthy eating and not becoming overweight can help prevent the effects of stenosis. People who are overweight put more pressure on their spine and can increase the effects of compression. We hope with this knowledge about spinal stenosis you will now take matters into your own hands and do your best to prevent the onset of spinal stenosis so that you don’t have to suffer the pain which millions of others have had to.